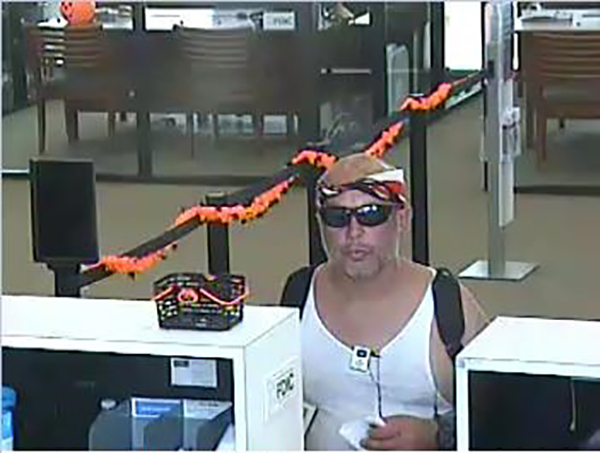 HOUSTON (KTRK) -- Crime Stoppers is looking for an interestingly dressed suspect who they say claimed he had a bomb in order to rob a bank. Police say the robbery occurred at 12:30pm on October 11, 2016. 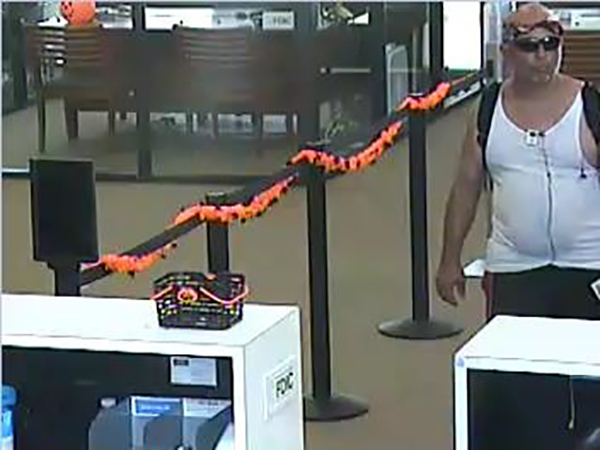 The suspect entered an unidentified bank on 4000 block of South Braeswood Boulevard and demanded money from the till. The suspect, who has not been identified, told the teller that he had a bomb and threatened to use it if the teller did not comply with his demands. 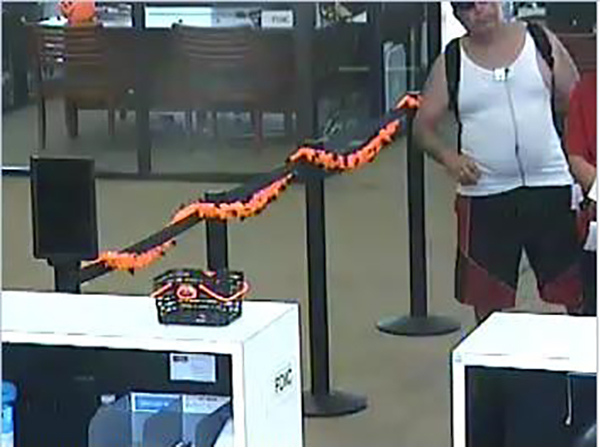 The teller gave the suspect an undisclosed amount of money, and the suspect fled the scene. 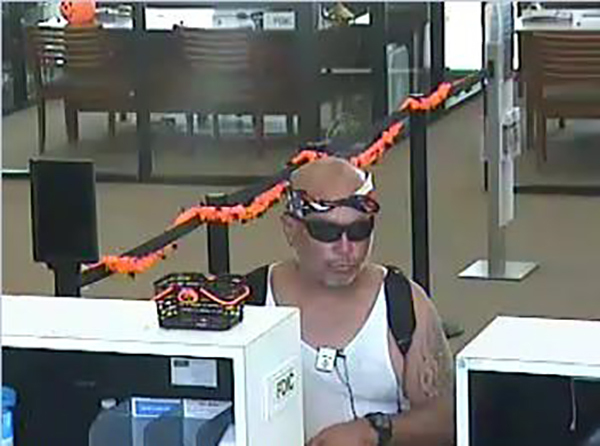 Authorities describe the suspect as a Hispanic male between 35 and 45 years old. He is partially bald and stands between 5'08" and 5'11" tall. 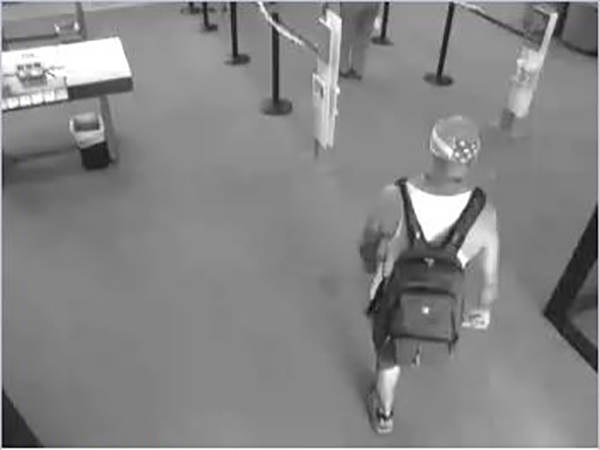 At the time of the crime, he was wearing a white tank and black shorts. 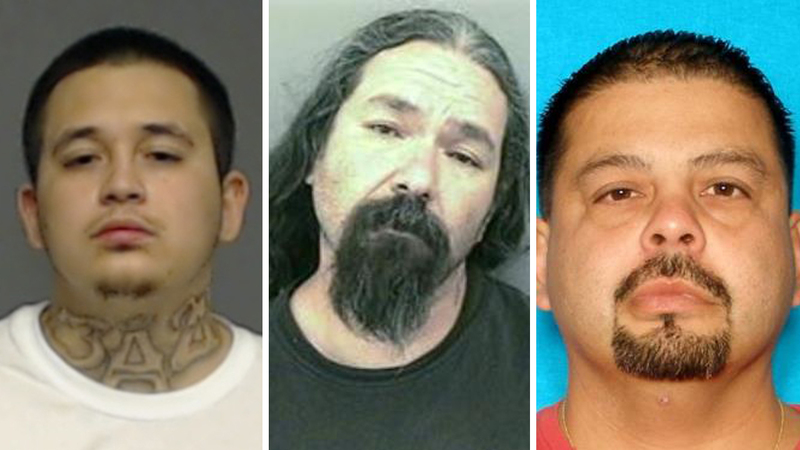 Crime Stoppers is offering a reward of up to $5,000 for any information leading to the suspect's charging and/or arrest. 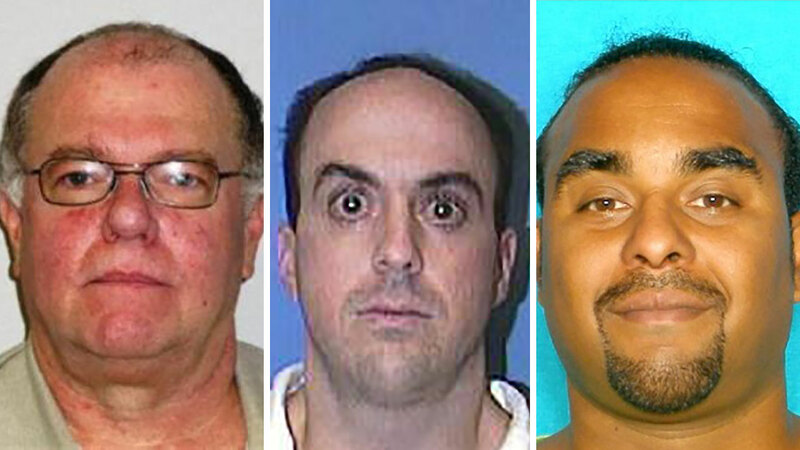 Tips can submit information anonymously by calling 713-222-TIPS (8477) or visiting crime-stoppers.org.